We take pride in providing you with an experience that exceeds your expectations. 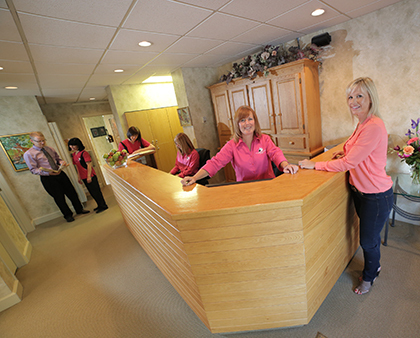 At Dr. Christopher Moore’s Family & Cosmetic Dentistry our first priority is the quality of service and the level of care and comfort you receive while you are a guest in our Peterborough dental clinic. That’s why Dr. Moore and his dental clinic team are always searching for the best in new technologies that will make your visit to their dental office as pleasant as possible. From fillings and family dentistry to more specialized cosmetic dentistry and TMD/TMJ treatments, Dr. Moore’s dental office offers a full slate of state-of-the art dental procedures to aid you in restoring and maintaining your dental health. Contact us today to learn more about how we can help you achieve the beautiful, functional smile you’ve always wanted!